I was in Phnom Penh, and I was very much ready to be out of it. The elections were over and the city was trapped in the curious stalemate that remains, as the CPP scrambled to find a strategy for its unexpected electoral near-miss. The CNRP opposition counted ballots and pursued the legal channels for challenging the election results: journalists watched and waited for Big Protests and Civil Unrest that never came. I decided to get out of town, and then I realized that I had managed to never visit Battambang, in three years working in Cambodia. It was time to change it. 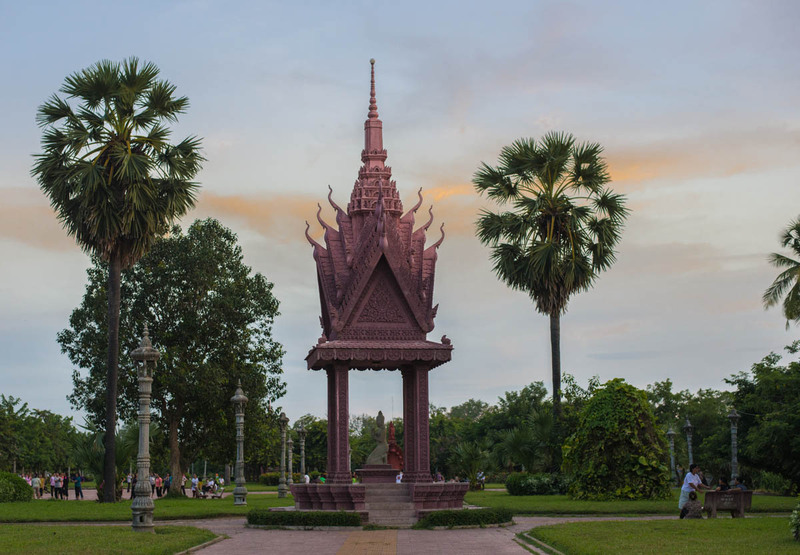 Battambang is Cambodia’s second-largest city, nearer to the Thai border and to Siem Reap than to Phnom Penh proper. Supposedly the catchy word “Battambang” refers to a story about a unpleasant farmer with morbid tendencies, who found a magical staff and proceeded to go on a killing spree — rather in line with the singularly grim themes of many Khmer folk stories. At least it sounds sprightly and fun. 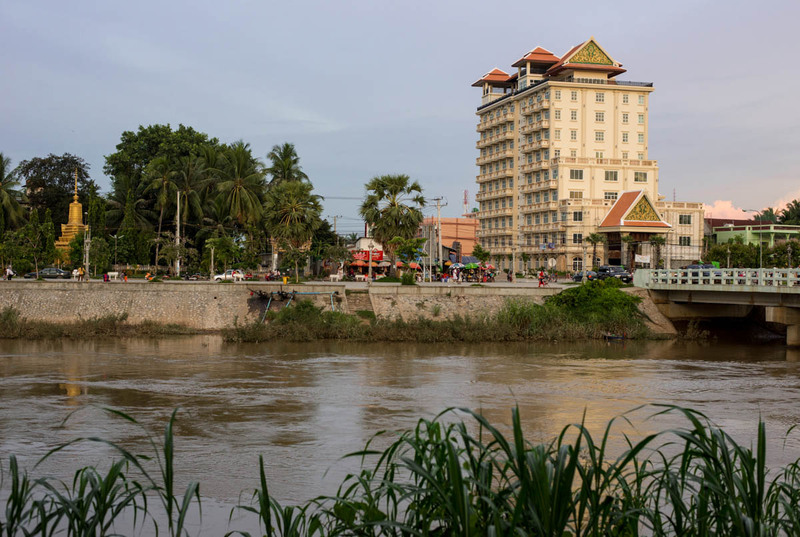 Held by Thailand for over a 100 years during the 18th century, Battambang has been coveted for its excellent rice and fertile growing land for centuries, and suffered greatly under the genocidal Khmer Rouge regime. Things are much nicer now. Battambang has gained something of a growing reputation as an artist’s town, as Khmer artists and performers work to open rather hip galleries and performance venues, hoping to transform their town into both transportation hub and cultural mecca, some sort of Cambodian Ubud, perhaps. Although Battambang may be Cambodia’s second largest city, I was immediately (and very pleasantly) struck by how very-un-bustling it is: unlike Siem Reap’s tourist swirl or Phnom Penh’s commerce and corruption, Battambang remains a slow river-city at its very core, visited only by a few confused-looking backpackers and Cambodians doing a bit of business. There’s even a pleasant little cafe and food scene, with espresso bars and the occasional Western restaurant jostling for space with Khmer cooking schools. Surprisingly good French fusion food is served up at Pomme d’Amour, and you can get most Western staples at the usual complement of backpacker joints. Fresh river fish is a good bet — and of course, well, rice. It’s a quiet place to while away a few days, and it’s especially rewarding to rent a motorbike and putter around, driving past family homes, rice paddies, and the slowly-moving and chocolate brown river. There’s temples of both recent and ancient make to explore in the immediate area as well, as well as the somewhat strange bamboo train. I stayed at the recently opened Battambang My Homestay, owned by the congenial Sethykun Neou. A former economics professor at the university here, Sethykun speaks superb English and is very much involved with local politics and community organizations. He can tell you more. The rooms are new, very clean, and come with Internet and TV — all for $15 for a fan room, and $21 for AC. It’s a bit out of town so you won’t be walking anywhere much (it’s hot), but you can always rent a bike or a moto, or the family can call a tuk tuk for you. Tasty, fresh Khmer style breakfasts are on offer as well. Much suggested. 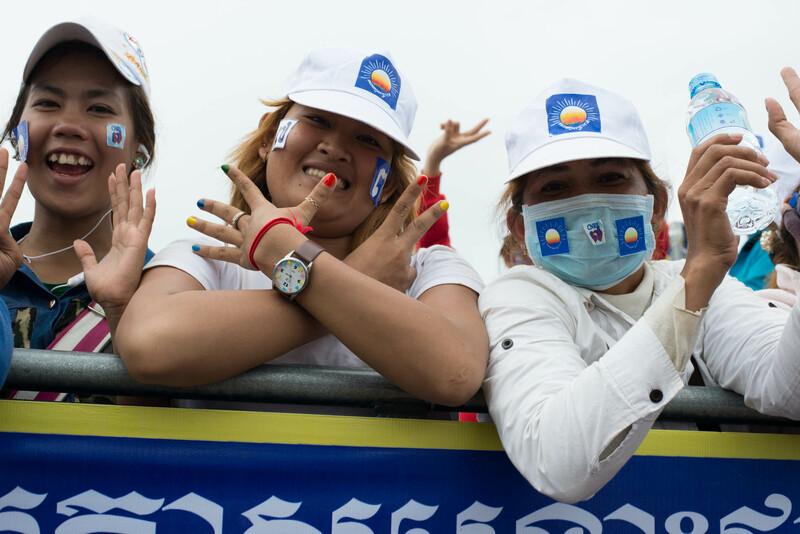 Cambodia’s June 28 national elections ushered in the dawn of a new age of electoral politics in the small, southeast Asian country. A hotly contested election saw unprecedented political engagement coming from the country’s youth – those under 25 years old. And in an indirect way, Mark Zuckerberg and friends are responsible. As of June 30 the ruling Cambodian People’s Party appears to have won the elections, but the opposition Cambodian National Rescue Party, led by Sam Rainsy and Kem Sokha, has made unprecedented gains, picking up 55 seats to the ruling party’s 68. Claiming there was massive voter fraud, with a reported 1 million voters left off the polling station lists, the CNRP has rejected the election results. The party is calling for the establishment of a joint committee to investigate the allegations of vote rigging. As the nation waits for the final tally of votes to be announced, one thing is clear: the Internet has played a pivotal role in the 2013 Cambodian elections.